It’s a still and very bland day… you know one of those days where there is no color in the sky and the sun is nowhere to be seen. It isn’t raining, it isn’t windy, it is just still. 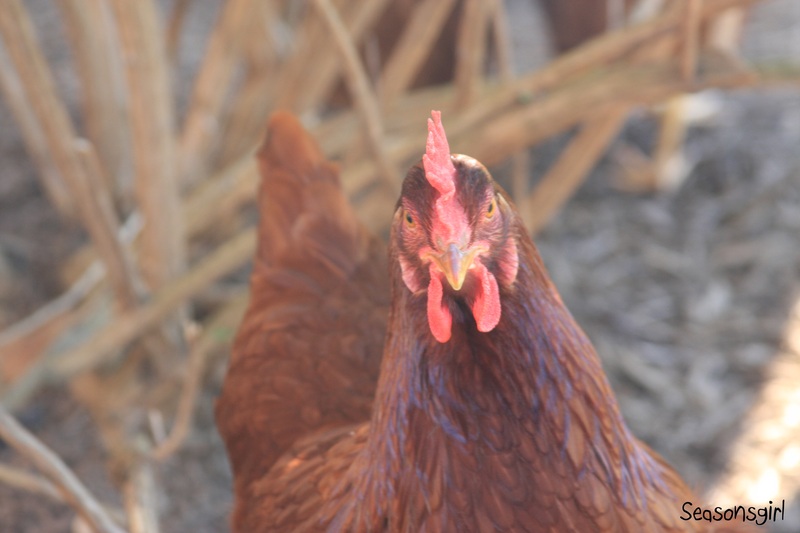 The chickens don’t seem happy about this type of day. They are out, but seem more skittish, especially after Chase had to scare away a bird that was getting a little too close. The dogs are snoring on their chair, yet are easily awakened by noise. 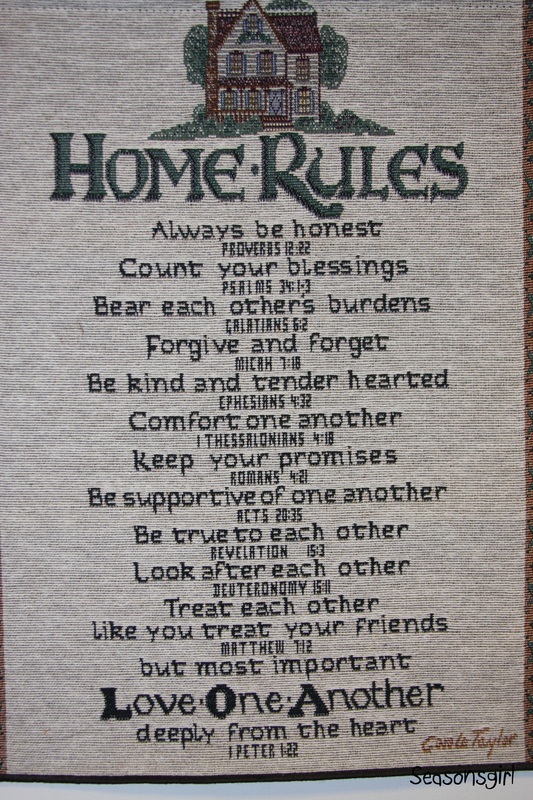 Since there is not much to share yet today I wanted to pass along some House Rules we found on a tapestry and have hanging in our house. I hope you have a good Saturday.